You'll be £25.00 closer to your next £10.00 credit when you purchase Southern Reconstruction. What's this? The Reconstruction Era—the years immediately following the Civil War when Congress directed the reintegration of the former Confederate states into the Union—remains, as Eric Foner suggested, “America’s unfinished revolution.” But Reconstruction is more than a story of racial injustice; it has left a complex legacy involving both whites and blacks, Southerners and Northerners, that is reflected today by the fact that the overwhelming number of states with the high- est rates of poverty were part of the former Confederacy. In Southern Reconstruction, Philip Leigh examines the legislation enacted during and immediately after the Civil War, and the administrations of presidents Andrew Johnson and Ulysses S. Grant, to broaden our understanding of Reconstruction. With the exception of the Emancipation Proclamation, most histories of Reconstruction fail to explain adequately how other Civil War polices affected the South after the Civil War. Among them were the Confiscation Acts (1861), Morrill Tariff (1861), Pacific Railroad Acts (1862–1866), Homestead Act (1862), Legal Tender Act (1862), National Banking Acts (1863, 1864), and Veterans Pensions Acts (1862–1865). These laws transformed America’s banking system, built a railroad web, and inflated government spending with vote-getting pensions for veterans—a sum that reached a staggering 40 percent of the federal budget in 1893. Civil War era legislation also created a dubious alliance between banks and government, sparked corruption, trapped Southern farmers—both black and white—in endless annual peonage cycles, and failed to provide lands for freedmen. 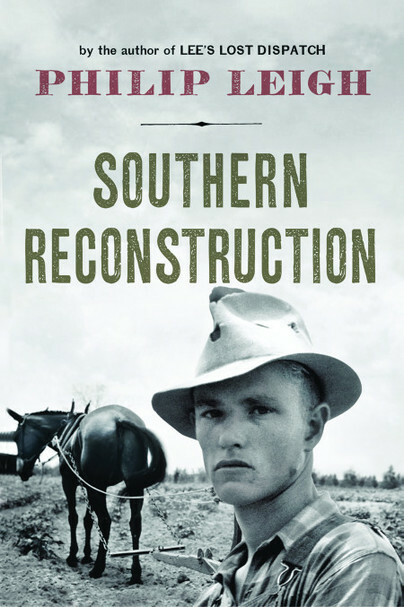 While Reconstruction was intended to return the South to the Union, it could not be effective with the crippling wartime legislation and ensuing federal policies that disfranchised many whites, fostered racial animosity, abetted Southern poverty, and lined the pockets of wealthy or politically well-connected business leaders. PHILIP LEIGH is a regular contributer to the New York Times Disunion Civil War series and CEO of Inside Digital Media. He holds an engineering degree from the Florida Institute of Tehcnology and an MBA from the Kellogg School at Northwestern University.